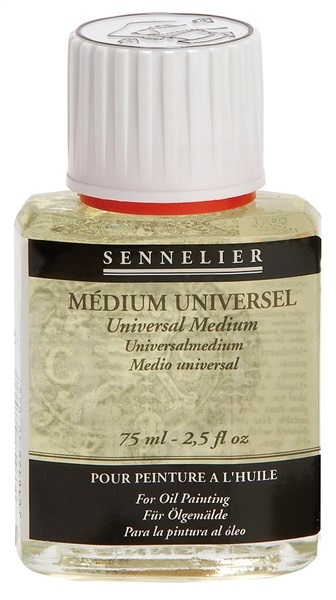 Universal medium improves the tones by adding bright and glossy appearance. Reinforces the mechanical properties of the finish and can be mixed with colors in any proportion. It can be diluted in petroleum spirit, turpentine and odor free spirits. This medium has de same properties as the Turner paint medium, but it is produced using a synthetic base.